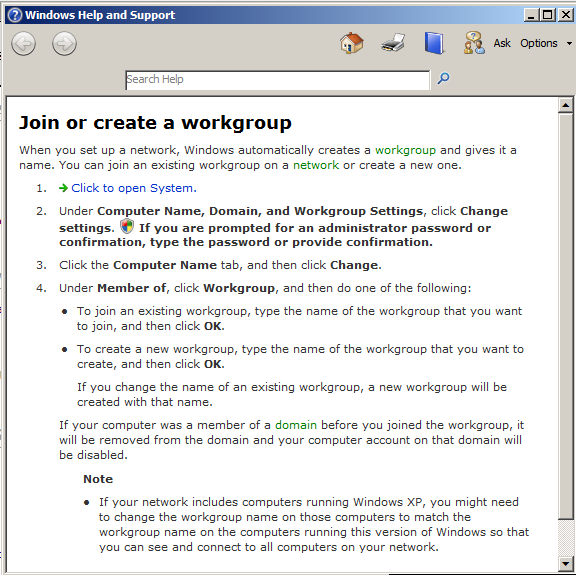 1) In Task Group Number 1, click Provide Computer Name and Domain. 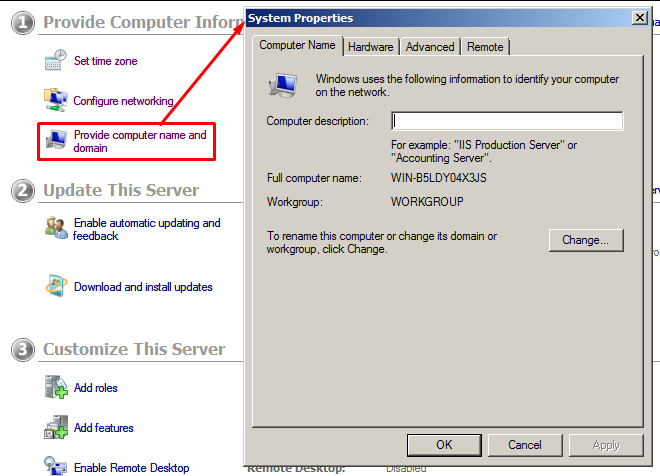 System Properties window pops up. You can change the name and the membership of this computer. Changes might affect access to network resources. Locate "More Information" link in the window. 3) Click "More Information" link. A Windows Help and Support window pops up. 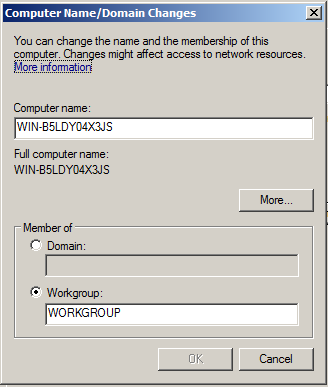 It provides information about Join or create a workgroup.